Misha Goikhberg & BC RACE CARS team up! 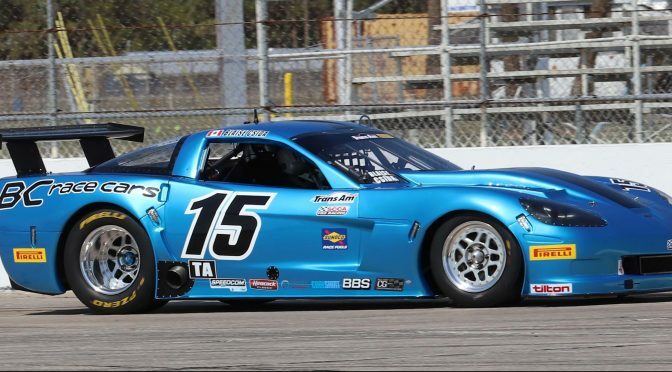 BC RACE CARS is proud to announce that fellow Canadian Misha Goikhberg will make his debut with the Trans Am series presented by Pirelli at the Road Atlanta, March 29-31, 2018. 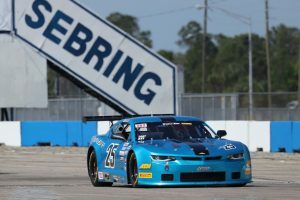 Misha will join the TA2 field in BC RACE CAR’s new TA2 #25 Chevrolet Camaro. 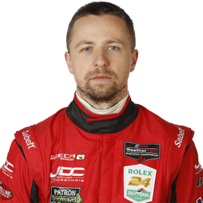 Misha Goikhberg, a well-known Canadian race car driver currently competing in the IMSA WeatherTech Sports Car Championship with JDC-Miller MotorSports LMP2 car, joins Trans Am with an abundance of racing experience in open wheel and sportscar competition. With a successfully overall finish of 7th place last weekend at the Mobil 1 Twelve Hours of Sebring, Misha Goikhberg added, “I am very excited to try TA2, and I have high hopes for the future of this championship. The car isn’t anything that I’ve driven before, so I will keep my expectations in check and try to learn as much as possible in the first weekend”. Fellow Canadian Roberto Sabato, a common friend to Misha and BC RACE CARS and a Trans-Am competitor, arranged the opportunity to join forces. “We feel so fortunate to have had Ave at Sebring and now Goikhberg joining us to show-case and further develop our cars. We look forward to working with another professional driver and introduce him to one of the best classes of sedan racing in North America”, states Blaise Csida, team principal at BCR. 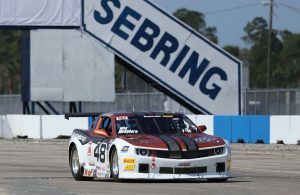 BC Race Cars Inc. showed up to the inaugural Trans-Am event at Sebring International with high hopes; a brand new TA2 car, a completely rebuilt TA car and the old, reliable TA2 # 48 Camaro. Tony Ave was the driver for the new TA2 build, and as expected, his driving and input were invaluable. The car was super quick out of the box, Tony posting top 3 times in practise on Thursday. But he did point out some brake issues and being slightly down on power. The brake issues were mostly resolved for qualifying, and Tony posted a top 5 lap time, one that he was not satisfied with. A subsequent spin flat spotted the tires, which meant new tires for the race and starting from the back of the 32 car field. Katech resolved our engine power issues by race day and Tony put on a show: he made it up to the top 10 within 9 laps, posting incredible lap times even in traffic. Unfortunately, a left rear tire exploded, probably due to a cut while being forced off the track while passing a competitor, ending our otherwise exciting debut. Mike MacGahern in the #48 TA2 Camaro was making steady progress thru the weekend. We resolved some handling issues, and the crew had to jump into action to repair some damage on the car. We picked up 3.5 seconds in lap time by qualifying, a solid mid-pack effort. A broken transmission input shaft ended our race early, a frustrating end to an otherwise good run after not competing for over a year! 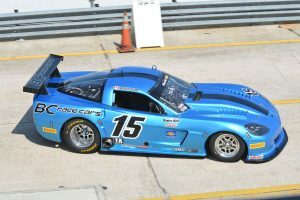 Blaise Csida in our #15 TA car also enjoyed a good weekend, solidly in the top 10 thru 3 practise sessions. We made good progress with the suspension adjustments thru the weekend, but qualified poorly in 11th due to yellow flags on the hot laps. We were looking forward to the race as we knew our pace was far better than we were able to show. A radiator burst on race day, while warming up the engine, and with 30 minutes to the race, we could not repair the car in time to compete. Watch a few laps of pro driver Tony tearing thru the field…….